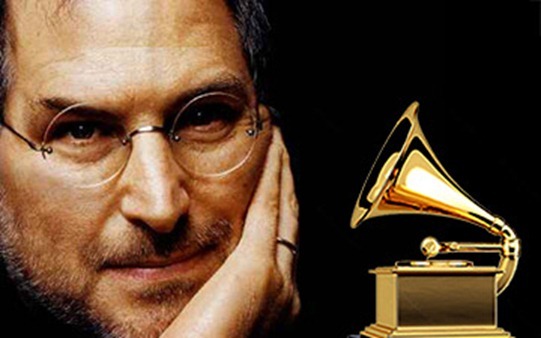 Steve Jobs loved music and in fact he was awarded a Grammy posthumously! The Trustee Award is more like a Grammy Lifetime Achievement Award but for other than performance. The Recording Academy awarded it to Steve Jobs for helping “to create products and technology that transformed the way we consume music, TV, movies and books”. This man is the unforgettable founder of giant Apple who invented the iPod, introduced iTunes, floated the iCloud and changed the way the music industry worked. It even changed our outlook too with his innovative vision. Piracy has persistently hurt and robbed the music industry for a long time. It got worse with the advent of broadband internet but over the recent years things have changed, thanks to the same technological wizardry that threatened it. The iPod did for Apple to start a new personal music revolution and similar as to what the Walkman did for Sony. Apple introduced the iPod in 2001. It was an MP3 player with 5GB storage. 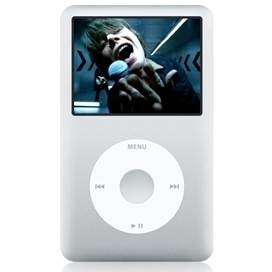 It has come through six generations to develop into a portable media center and synchronized with iTunes. Podcasting has become a favorite way to listen or watch one’s favorite interests and it is supported by apps. Digital music revenue has gone up recognizably from 2011. This has probably set sights on a futuristic trend and new hopes for the revival of the fortunes of recorded music business. Besides, UK artists are now breaking records in the US and topping the charts too. Trending Adele rocks prominently the US charts! Subscriptions and services are bringing in more money. Greater revenue means that there will be more investment in artists… and that’s healthy for the industry considering the present economic scenario. PRS for Music represents some 75,000 songwriters, composers and music publishers. Its royalty collections went up 3.2%, collecting £630.8 million. 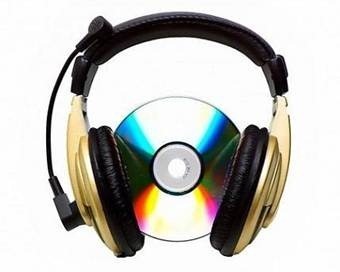 Digital and downloadable music has evolved into a kind of alternative business model, discourages piracy and offsets poor or declining CD sales. Revenue from digital services and garnering international markets has now really made up for loss in royalty from the recent down-trend in CD sales. On-line royalty is up by 43.3% last year in UK and the CD sale is down by 13.3%. Broadcast loyalty from radio, TV shows, etc. are also channeling revenue to the music label’s coffers. iTunes is a media player to manage such content on Apple products. iTunes accesses the iTunes Store to pay for and download music, music-videos, games, etc. It can also access the App Store and now it is without DRM (Digital rights management). By 2009, over 6 million songs were downloaded here to transform it into the largest online music store. Built-in support for podcast was added in iTunes version 4.9 in September 2010. Apple has introduced the latest iTunes 10 versions with a big feature. Ping, the social network for music opened with 160 million users in 23 countries. iTunes Genius helps you build your playlist. Your library of tracks is compared with other Genius users to help you with recommendations that are resultant of work on information retrieval algorithms. Microsoft has been doing similarly with Zune. Zune is a music subscription service for video and music streaming, now known as the Zune Marketplace. Spotify launched in 2010, can be accessed using most operating systems and mobile devices. The music streaming service offers a limited trial period and then Spotify will put you listening limits. Subscription removes limits and advertisements. Some feel Spotify can outgrow iTunes at this pace. Napster on the other hand was a ground-breaking file-sharing service that did hurt the industry and was penalized for copyright violations. It finally merged with Rhapsody, the music store subscription service online. The Amazon owned Amazon MP3, an online music store and probably the first store to sell DRM-free music. But licensing agreements with music labels and companies restrict the countries where music is sold. MySpace Music allows users to stream music on demand and it is advertising supported. DRM-free downloads will be also available on pay basis or advertising supported. Mflow is a social music service with a huge collection. The catalogue has over 5 million tracks funded by digital music sales. It works on any platform or device that is HTML5 (or Flash) compatible. Pandora is an online service that helps users to choose the type of music preferred to listen. It has over 400 different musical attributes. It is a product of and interfaces with the Music Genome Project. As an internet radio it has both a free subscription that’s supported by advertising and a fee-based subscription. It can be played by an app on mobile devices too. Google Play is one destination for your entertainment. Find and share your favourite apps, books, music and movies, on the cloud through your desktop, tablet or Android phone. No more moving files between devices and log on to the one-stop shop. Re-branded as Play, it is merged with Google Music and Android Market helps you buy or rent the stuff you like. But there are hundreds of thousands that are free too. When music loving people get to work on their networks like Youtube, Twitter, MySpace or Facebook, spreading the word about music, you are witnessing a marketing exercise that may be involuntary but effective. A lot of music information is shared on the internet between users or groups. Sometimes files are shared although it may be illegal. Music is usually recommended by friends or fans or gets prominence through blogs. Apps too help in disseminating information and music. Artists participating in social media are pretty helpful. It helps the fan following and to get them to feel involved. Internet radio and music streamers are also very important to promote music and artists. These fan recommendations can spread very fast through the web or may go viral. This is very beneficial to indie artists and publishers as they need not spend extravagantly to promote their albums or music. When people “like” web pages it can go viral and promote that product or service. Even Youtube can help in video marketing for musicians. Today we have music services on Facebook Music and you can listen along with your friends to the same music. You can also listen to what friends had earlier heard. Facebook supported music services are MOG, Rhapsody, Spotify, Rdio, etc. Supported internet radio services include AudioVroom, iHeartRadio, Deezer, Mixcloud, Earbits, Stacker, Songza, etc. Guest post by Dinesh.V.K who writes on latest market trends, gadgets, broadband suppliers, technology, shopping offers, free samples, free coupons, health sectors, public sectors, news and entertainment. I have to show my gratitude for your kindness in support of individuals who should have help with that concern. Your real commitment to getting the message all over became especially informative and has consistently empowered many people like me to attain their goals. Your personal useful useful information signifies a whole lot a person like me and still more to my peers. Thank you; from all of us.